The Imprinted Therm-O Backpack is designed to keep snacks and beverages fresh. This therm-O bag is easy to carry and can also be used for hiking and camping trips. If you run a store and want your customers to remember you, get these backpacks and customize them with your brand’s logo and tagline. These bags will continue to promote your brand as long as your customers use them. The Imprinted Therm-O Backpacks are made from high quality materials to protect personal belongings. 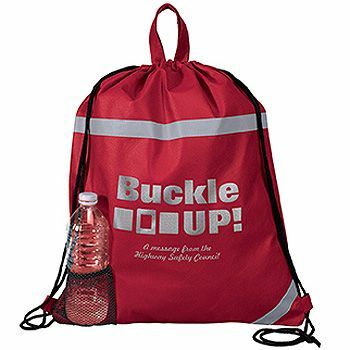 These imprinted backpacks are insulated to keep beverages and snacks fresh. 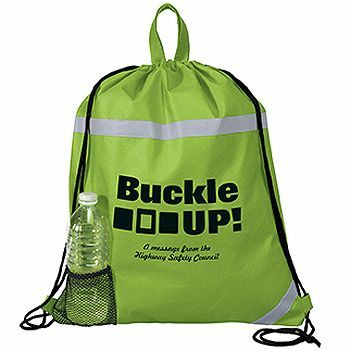 If you need to promote your brand and gain an upper hand over your competitors, this backpack is the ideal choice. You can fully customize these bags with your brand logo, tagline, or any other element that you desire. This bag features 1 inch reflective stripes, a handle, and black draw cords for easy handling. The convenient mesh pocket on the outside can be used for bottles.